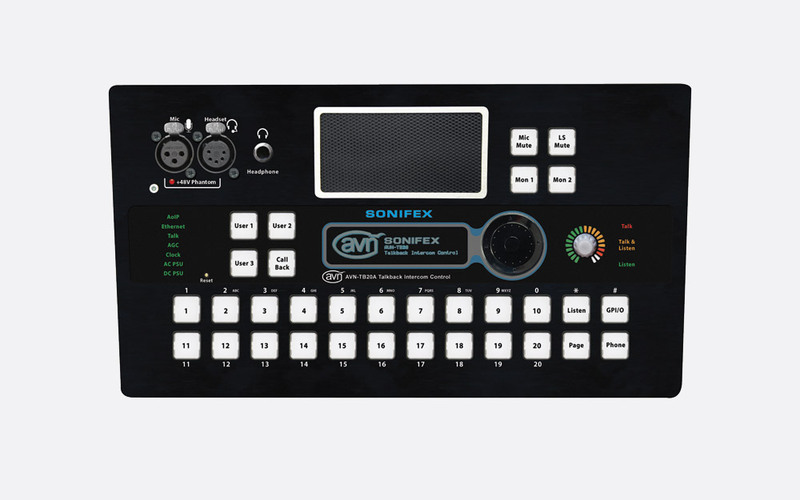 Sonifex AVN series of talkback intercoms are designed to aid fluent communication between studios, stages, theatres, and offices. They are equipped with both 4-wire and AoIP (audio over IP) sources and destinations using AES67, a subset of RAVENNA, to communicate between devices via a CAT5 cable. 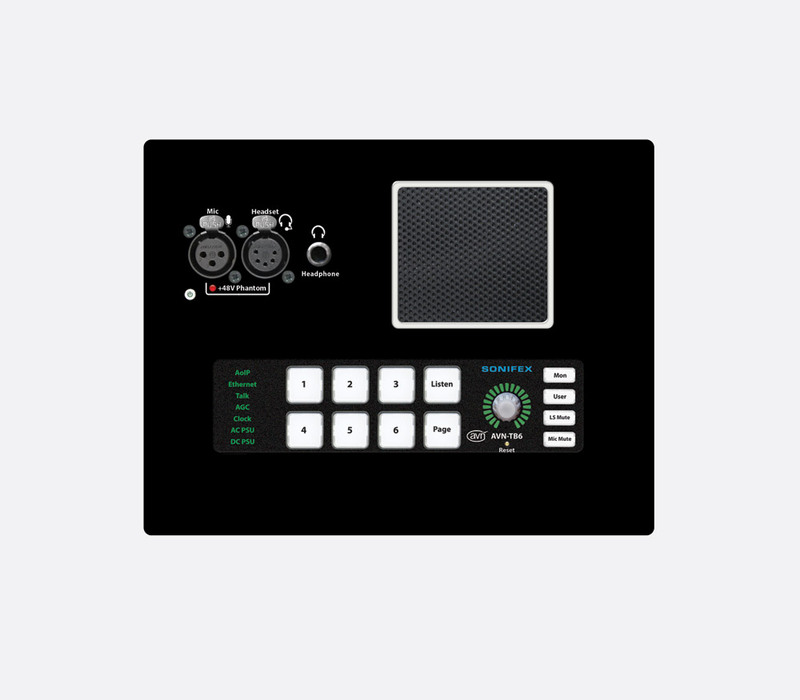 AVN-TB6 is a freestanding six button talkback intercom designed for smaller talkback systems using AES67 AoIP to communicate between devices. It can be powered by IEC AC mains cable, or via DC with the optional AVN-DC060 power supply and can be rack mounted by using in conjunction with optional AVN-TB6RK rack mount kit. As well as a discreet power button, the front facing panel has six illuminated key-cap talk buttons as well as 'listen' and 'page' buttons. To the right of a volume control that operates the headphone output and onboard 4W speaker volume are four button that allow the user to mute the microphone (Mic Mute), mute the loudspeaker (LS Mute), a user button (User) that can be configurable to various functions, and a monitor (Mon) button for monitoring any local audio input. A 6.35mm headphone output can be found at the right side of the front panel. 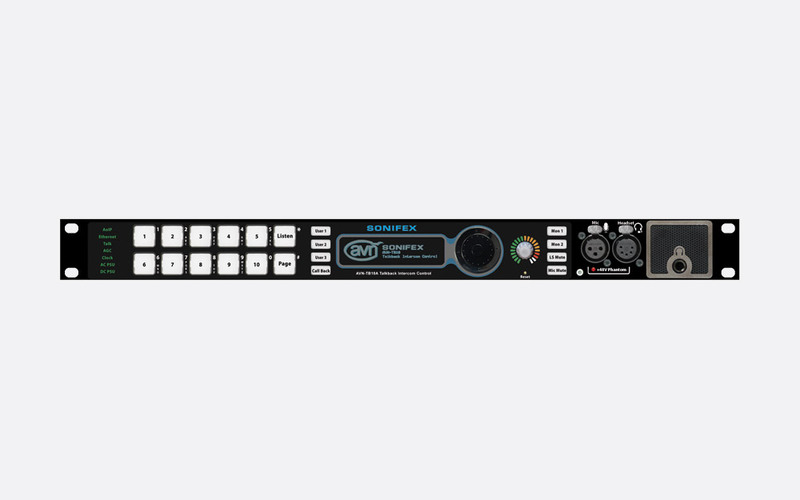 A recessed reset switch, located under the 3-pin XLR microphone input, can be used to initiate a full hardware reset. +48V phantom power can be enabled via the web server. Various colour changing indicators give an easy to see overview of the current status of features such as AoIP, Ethernet, Talk, Clock, AC PSU and DC PSU. The rear panel has all other connectivity I/O including GPI/O on 15-pin D-sub connector and dual RJ45 1Gb Ethernet connectors. A SPF (small form-factor pluggable) connector allows an alternative interface type to be utilised for the AoIP port. This cannot be used at the same time as the RJ45 AoIP network port. As an alternative to the 3-pin XLR input on the front panel, a headset can be connected to the 5-pin XLR input on the rear of the TB6. It is recommended that only one microphone or headset should be connected. Other connections on the rear panel are for mains IEC cable and 12V DC input, which can be used in conjunction with the optional AVN-DC060 power supply. Optional accessories: AVN-DC060 60 watt DC power supply, AVN-TB6RK rack mounting kit. AVN-TB6D has the same feature set as the TB6 however it is manufactured as a desktop unit. The only difference in connectivity is that both 3-pin XLR microphone and 5-pin XLR headset inputs are housed on the upper facing side. Optional accessories: AVN-DC060 60 watt DC power supply. This has many of the features of the TB6 however it is a ten button talkback intercom. Instead of a single user button and single monitor button, the TB10AR has three user buttons and monitor buttons 1 and 2. The AVN-TB10AR also has two headset inputs - one on the front facing panel and one on the rear. An OLED display and jog wheel allow the user to make changes more easily as well as identify important status settings. Additional connectivity housed on the rear facing panel includes S/PDIF digital input on RCA (phono), and stereo line I/O. Stereo inputs 1 and 2 are on unbalanced dual RCA (phono) whilst a balanced stereo line input 3 is on RJ45. Stereo output 1 is on dual unbalanced RCA (phono), and stereo line output 2 is on balanced RJ45. Included accessories: IEC mains cable with UK plug, handbook, and warranty card. 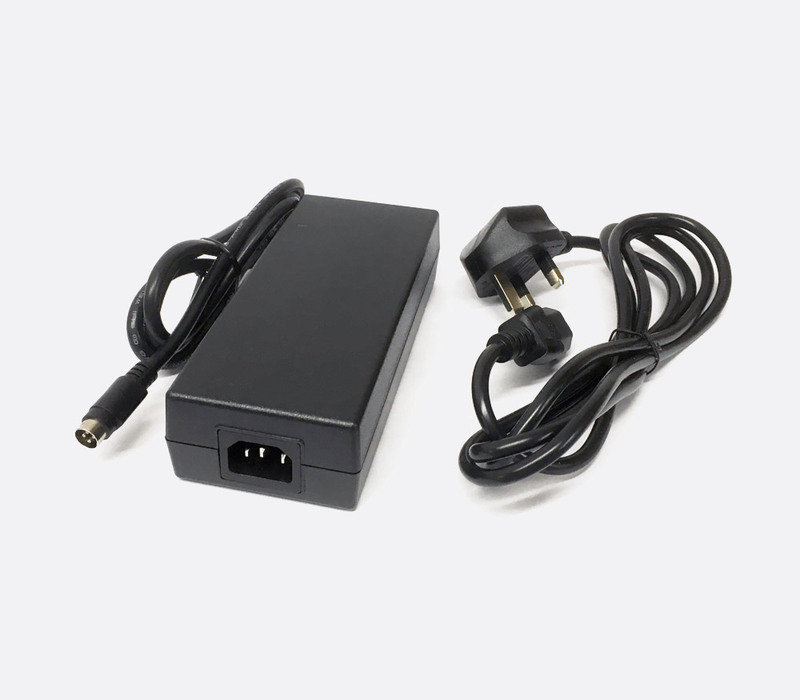 Optional accessories: AVN-DC060 60watt DC power supply. 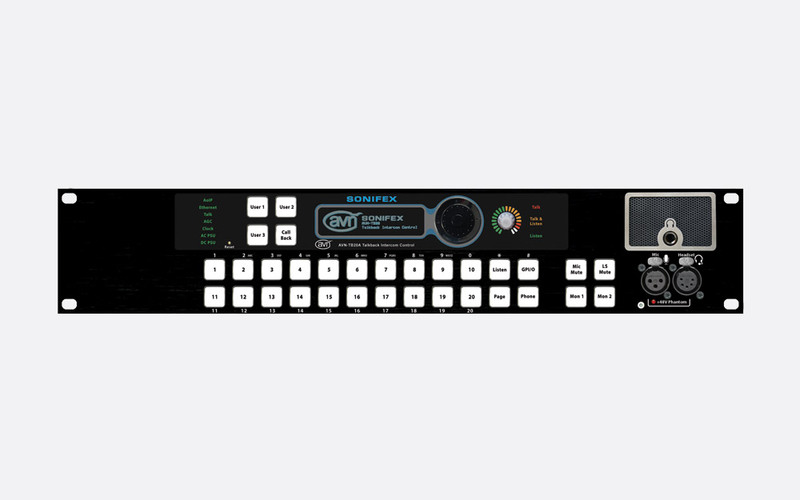 AVN-TB20AR has all of the features of the AVN-TB10AR however it is a twenty button talkback intercom in a 2U rack mounting case, designed for larger requirements. AVN-TB20AD has the same feature set as the TB20AR however it is manufactured as a desktop unit. No longer manufactured. See the product page for suggested alternatives.